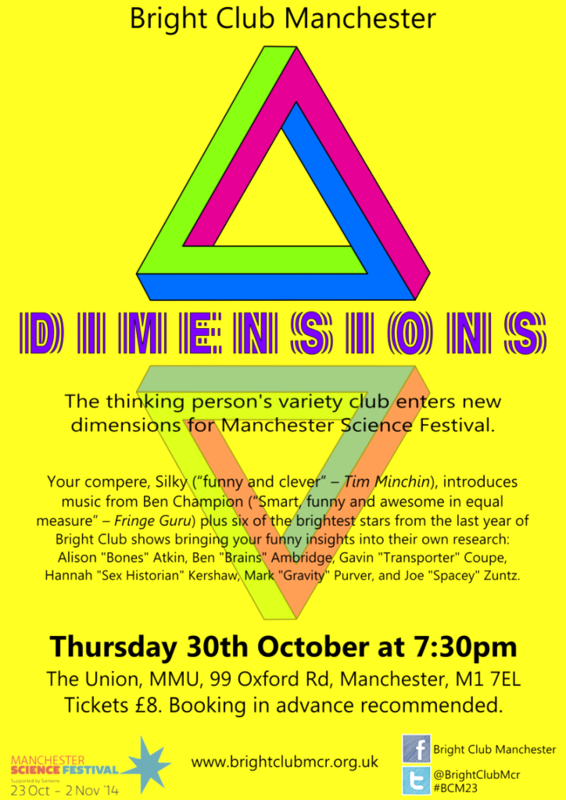 Bright Club Manchester tied off 2018 with a blow out show as part of the Manchester Science Festival with our biggest show in a very very long time. Our sold out 180+ audience joined us as we celebrated some of our favourite performers from the past and brought back one of our most talented compares. Silky stepped up to the plate as both our compare and musical act raising the roof both ends of the show. All the performances should be uploaded to our YouTube Channel some time soon. Watch this space for developments. 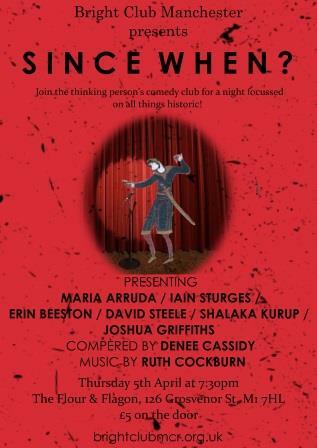 Bright Club Manchester 32 – Since When? Bright Club Manchester kicked off 2018 with a buster show with the Manchester History of Science conference. A packed audience of 100 people were treated to our biggest show for a very long time featuring acts old and new. 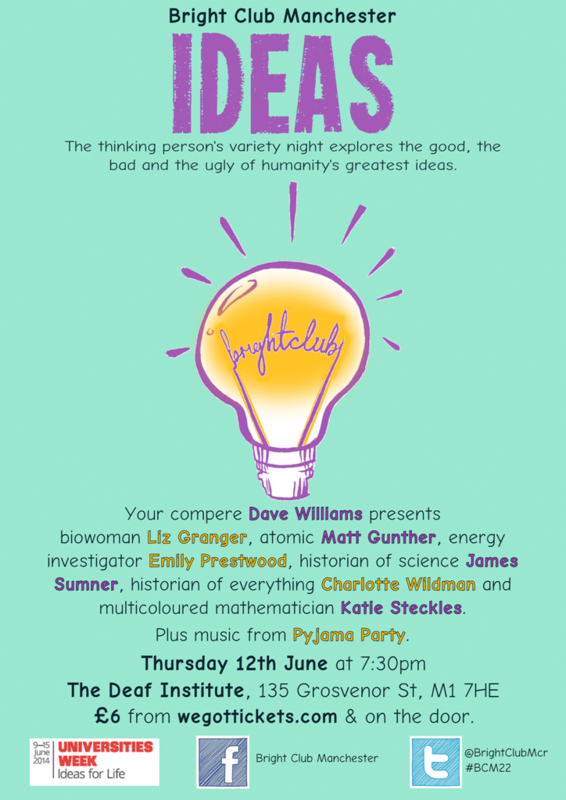 #comedy #science #history @BrightClubMcr going amazingly well those of you not in the room are missing out. 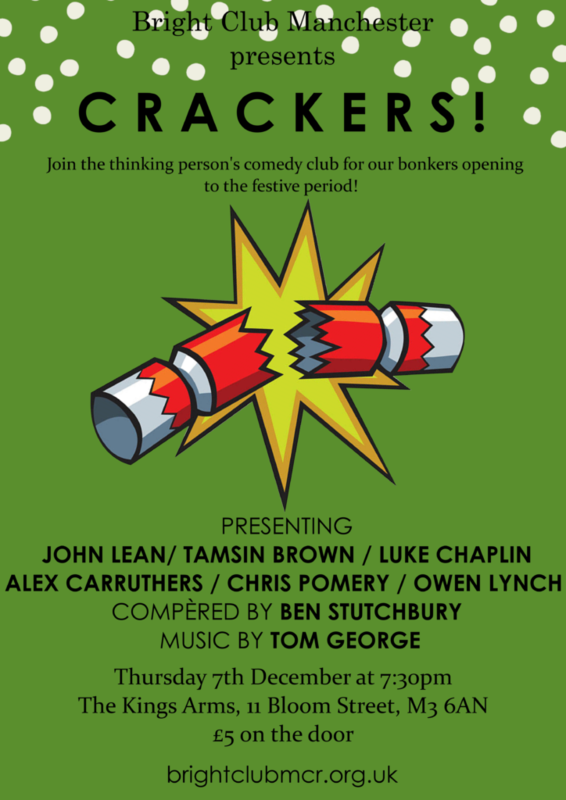 Bright Club Manchester 31 – Crackers! Bright Club Manchester brought 2017 to an end with a big festive blow-off show. A packed crowd joined us as six first time performers and Bright Club alumni Ben Stutchbury knocked our Christmas socks off. 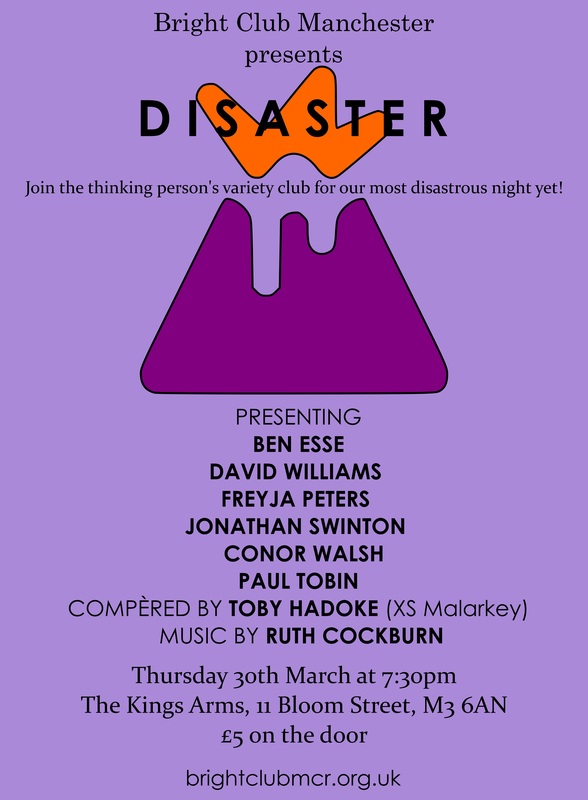 Thanks for having me tonight, @BrightClubMcr. Always fun to share my ideas with a receptive audience! 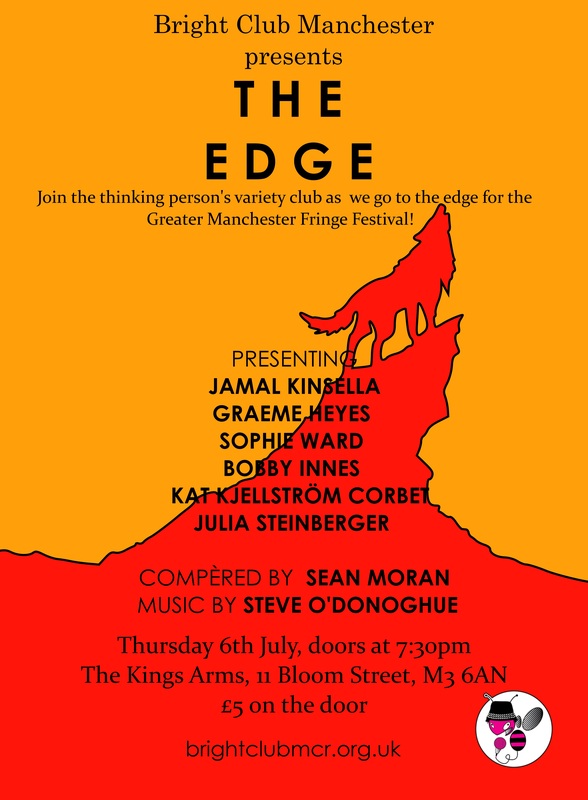 Bright Club Manchester has joined in with the Greater Manchester Fringe Festival to show just how cutting edge we can be. All the performances from the show can be seen on our YouTube Channel and a review of the show can be found here. Setting up shop at the Kings Arms this was certainly the most disastrous Bright Club ever. That’s a good thing. Honest. 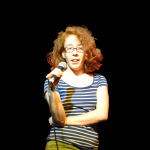 Providing a soundtrack for the night were the comedy gems of Ruth Cockburn. All the performances from the show can be seen on our YouTube channel. The days were getting shorter, the nights were drawing in and there were only 16 more sleep until Christmas. Bright Club Manchester was back at the Kings Arms for our climactic end-of-year show. Philip Thomas – nano-scale light… ist? Closing out the event was music from the awesome Eliza P.
All the performances from the show can be seen on our YouTube page. There is a great sense of Deja vu about this show despite our lack of clear records. It might be because Bright Club Manchester was taking part in the Manchester Histories Festival for the third time. 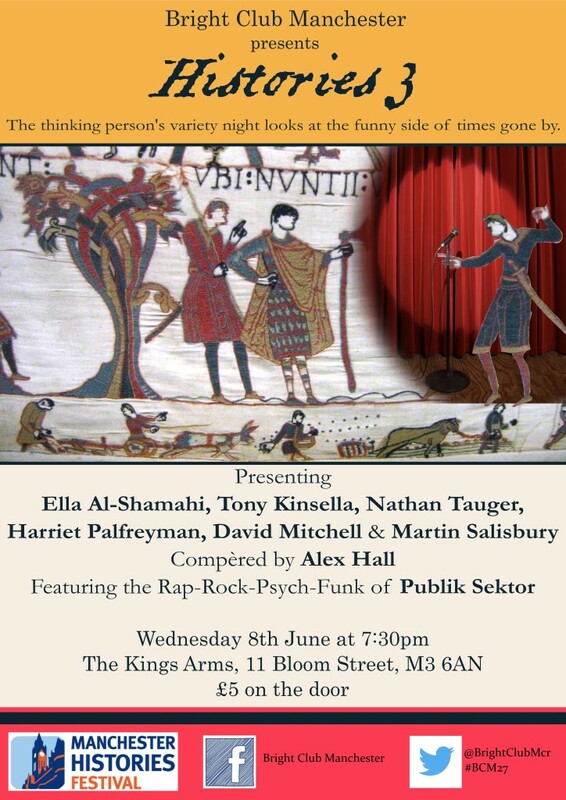 Harriet Palfreyman – Another Historian – it is the theme! Music was provided by the Rap-Rock-Synth-Funk of Publik Sektor. Performances from the night can be relived time and again on our YouTube page. 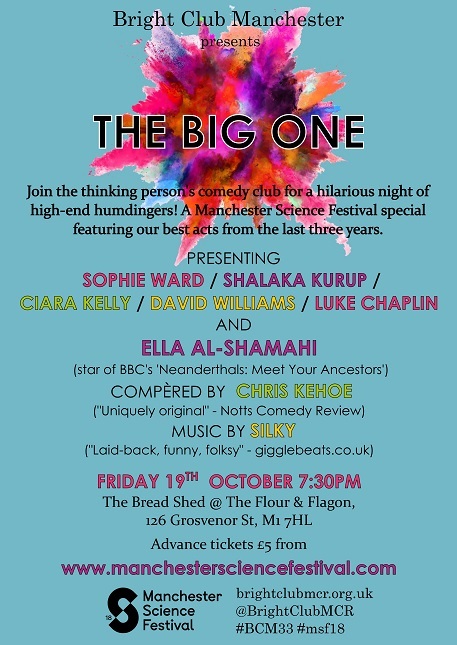 Bright Club Manchester 26 – The Big One! 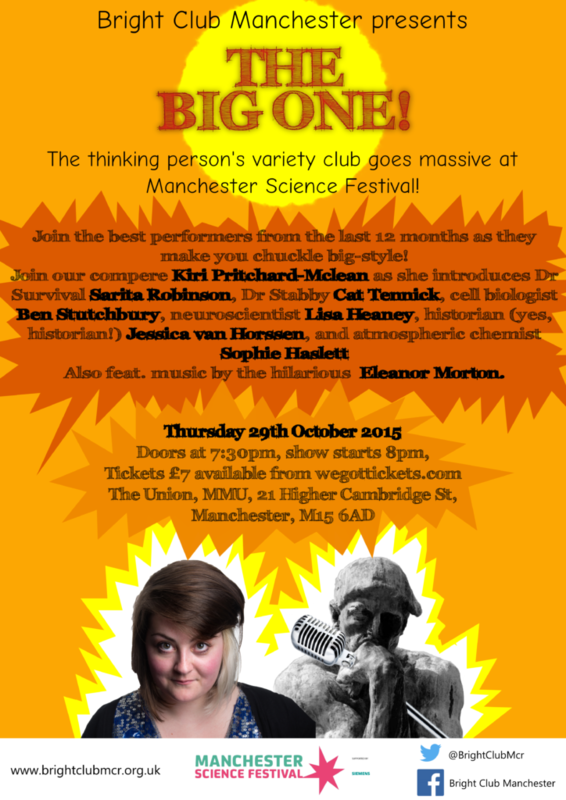 For Bright Club Manchester’s 25th anniversary show we decided to go big as a part of Manchester Science Festival. How better to celebrate than to Bring together some of our best and most popular acts, all together, on one big stage. and the awesome music of Eleanor Morton. Highlights from the show are available on our YouTube page. Its was our 25th show! 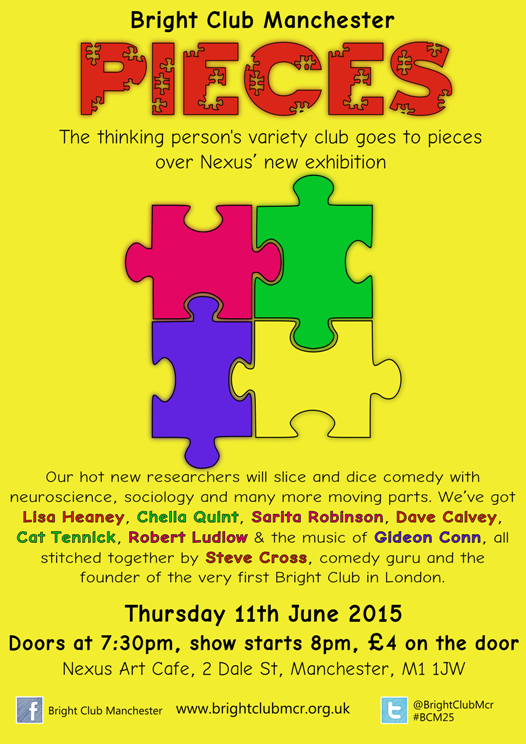 and Bright Club Manchester went entirely to pieces over at Nexus’s new exhibition. 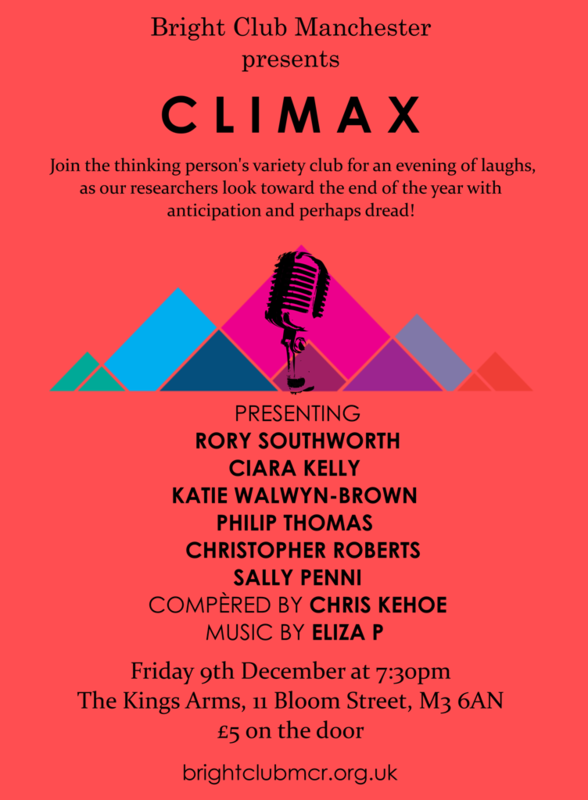 Our hot new researchers sliced and diced comedy with neuroscience, sociology and many more moving parts. To welcome in the new year Bright Club Manchester decided to start afresh, join a gym, drink less and get a solid eight hours sleep a night. 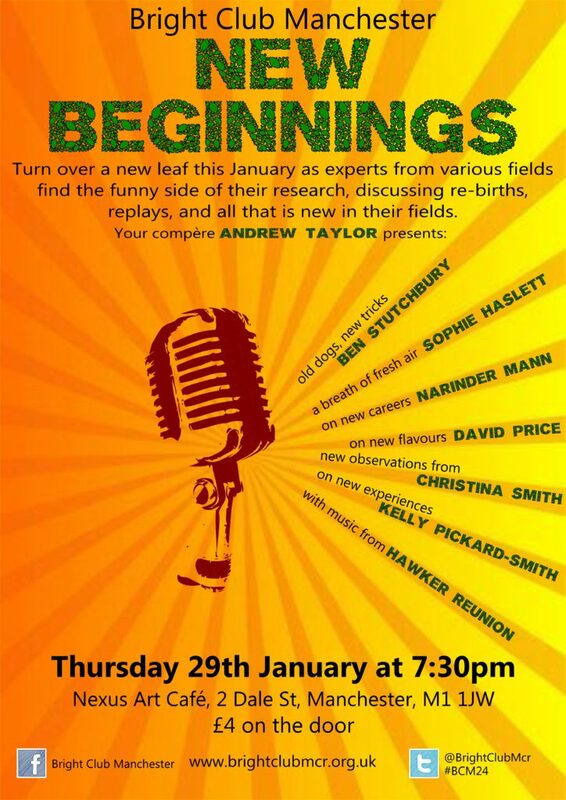 OK so we didn’t manage that too well but we did put on a stonking January show dedicated to thinking about starting anew with a fresh roster of researchers. …with music from Hawker Reunion. Bright Club Manchester entered new dimensions in this blockbuster festival edition of the stand-up comedy night with a difference. 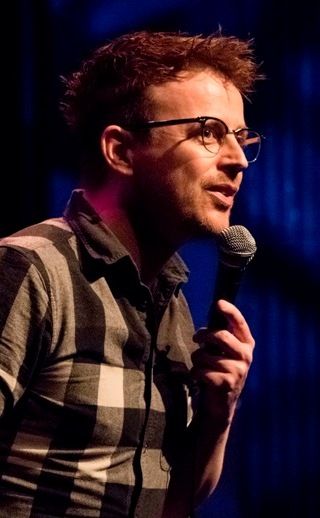 Closed off with a round of comedy songs by the ever hilarious Ben Champion. Videos from the show can be found on our YouTube page. 12 June 2014- the Deaf Institute. Big, small, new, old; ideas make the world go around and there was plenty to think and laugh about, at this special event for Universities Week. All capped off with the musical antics of Pyjama Party. 5th December 2013- Nexus art cafe. 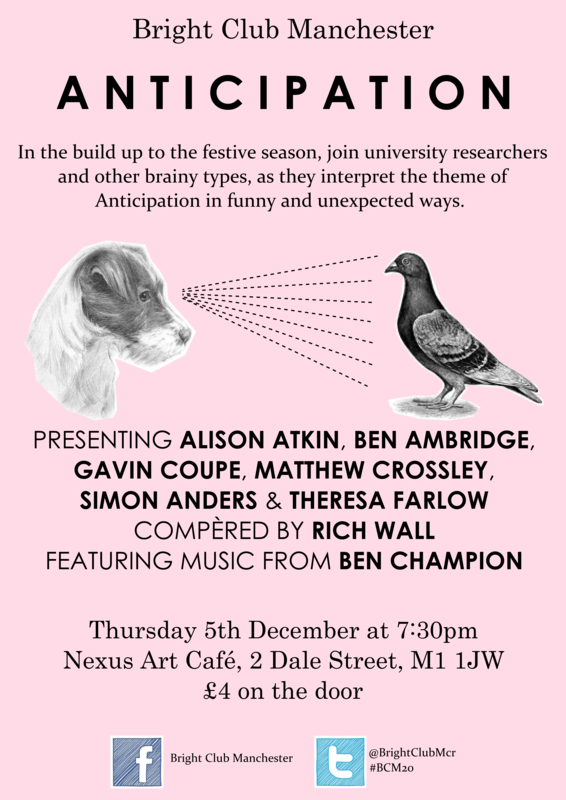 In the build-up to the festive season, join university researchers and other brainy types as they interpret the theme if Anticipation in funny and unexpected ways. 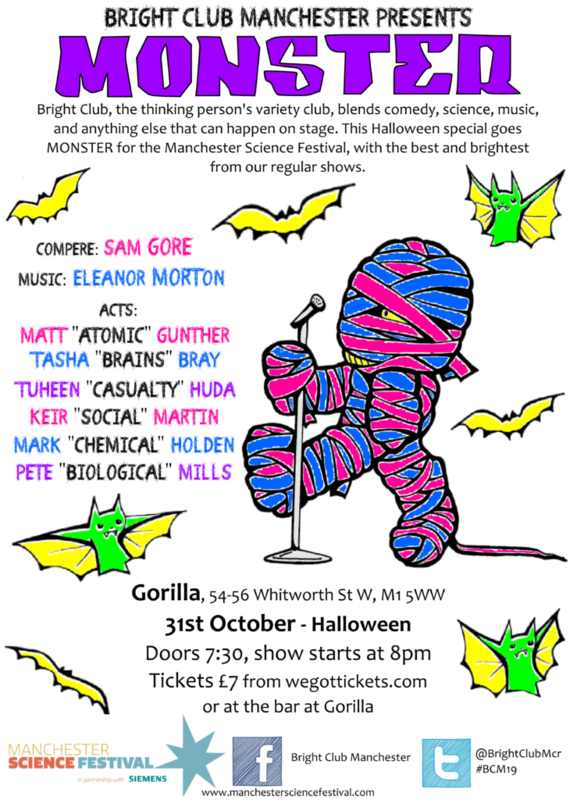 A special Halloween show from Bright Club Manchester focusing on all things ghoulish. All performances can be watched again and again to your hearts content at our YouTube channel.